The last time a NASA spacecraft safely landed on the moon was in December 1972. Nearly half a century after Apollo 17, though, the space agency is itching to return. NASA announced on Thursday that it's offering up to $2.6 billion in contracts to nine American companies to get the agency back to the lunar surface. NASA isn't going to buy the company's lunar landers outright, nor will it take responsibility for launching, landing, or controlling the robots. Instead, NASA wants the private sector to deal with those challenges and bid on the opportunity to take NASA's experiments to the moon. "We're doing something that's never been done before," Jim Bridenstine, NASA's administrator, said during a live broadcast on Thursday. "When we go to the moon, we want to be one customer of many customers in a robust marketplace between the Earth and the moon." Bridenstine added that the goal is take advantage of emerging international demand — both commercial and from other nations' space agencies — to land on and exploit the moon's resources. He views the $2.6 billion in potential contracts (it's unlikely all of this money would be spent) as a way to spur companies to "compete on cost and innovation so that we, as NASA, can do more than we've ever been able to do before." The effort is a new phase of NASA's Commercial Lunar Payload Services program (CLPS), which aims to encourage commercial moon missions. Bridenstine said NASA's scientific division will decide how the money is spent, not its human exploration division. "The moon is full of secrets that we don't know yet," Thomas Zurbuchen, NASA's associate administrator for science, said during today's briefing. Zurbuchen explained that the agency will create a catalog of payloads for the companies to bid on taking to the moon. The first round of proposals are due in January, NASA said in a release. The first missions could fly to the moon as soon as 2019, though possibly as late as 2022. In addition to enabling science experiments that might refine what we know about the age of the solar system and universe, CLPS could also be a stepping stone toward human space exploration. 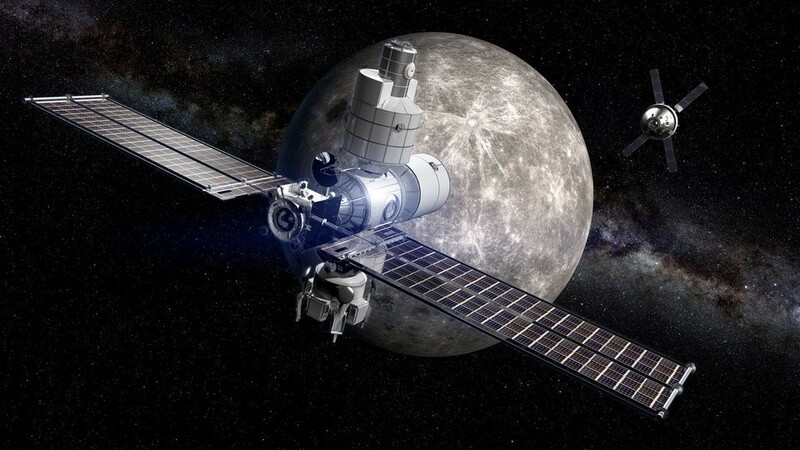 If successful, the program could pinpoint places to explore with NASA's "Lunar Orbital Platform-Gateway": a human space station to be built in the vicinity of the moon some time in the 2020s. "On the moon there is water. On the moon, there are precious resources," Zurbuchen said. "We want to learn how to use these resources because — guess what? — we want to go back with humans and actually use those resources for us to bring back to Earth or to fuel, to breathe, to drink." Water can be turned into hydrogen and oxygen, which can then be used as rocket fuel to power ambitious deep-space exploration (including that of Mars). So later on, NASA may use this competition to solicit much larger landers that could take people to and from the lunar surface in the late 2020s. "Ultimately we're going to take it all the way to Mars from the moon," Bridenstine said. 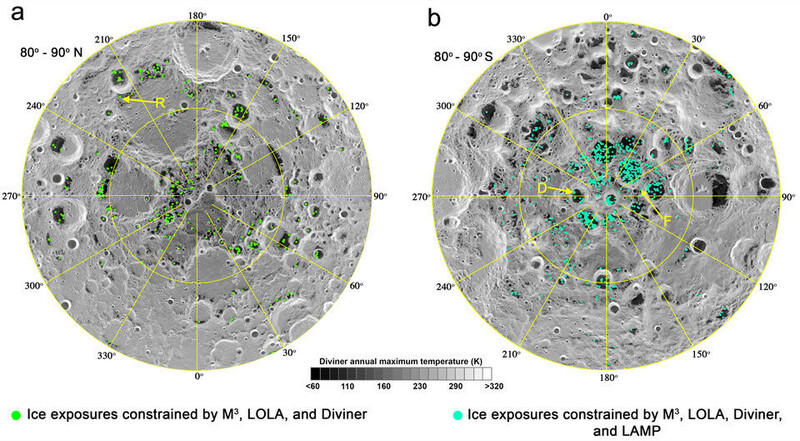 "We want to take advantage of the water ice that we believe is available in the hundreds of billions of tons on the surface of the moon." An illustration of Astrobotic Technology's Peregrine moon lander. NASA said this list may expand, and these companies will not be alone in their commercial efforts. 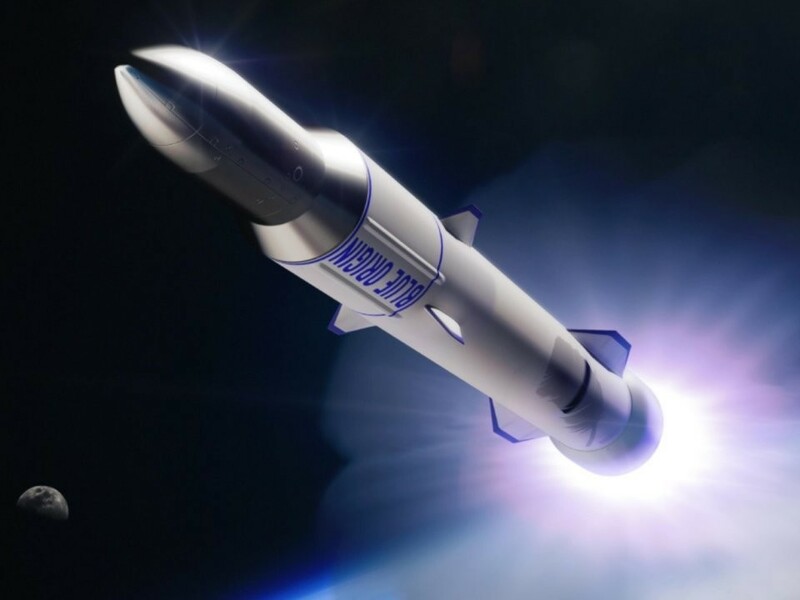 Many of the nine companies use subcontractors to build landing and avionics systems, and all of them will require private rocket rides to the moon, since NASA's Space Launch System won't be ready to fly for years. 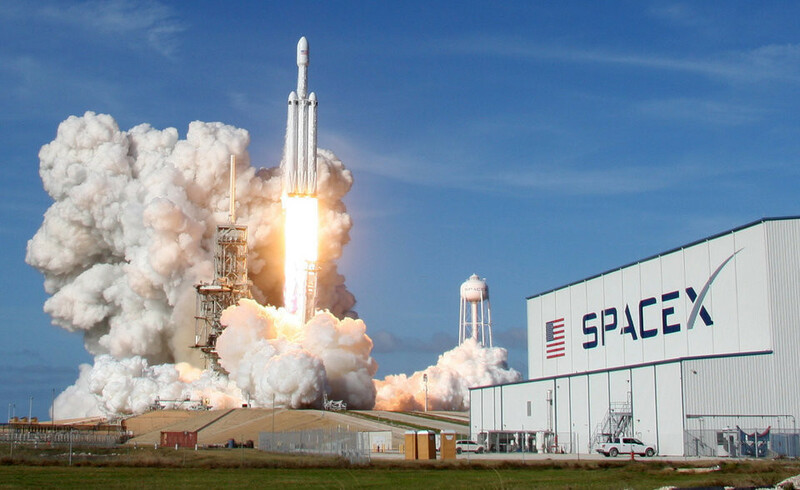 SpaceX, the aerospace company founded by Elon Musk, has a new Falcon Heavy rocket that's powerful enough to send a large spacecraft or multiple small landers to the moon for perhaps less than $100 million. There's also Blue Origin, founded by Jeff Bezos. In October, Blue Origin said it's "in the conceptual design phase" of building a large lunar lander called "Blue Moon." The company is also creating areusable rocket system called New Glenn, which may take flight in 2020. In March, Astrobotic was reportedly working with aerospace company United Launch Alliance (ULA) to find room on a rocket that could fly Peregrine to the moon sometime in 2020. Space News reported in May that Astrobotic was preparing to bring 12 payloads to the lunar surface. 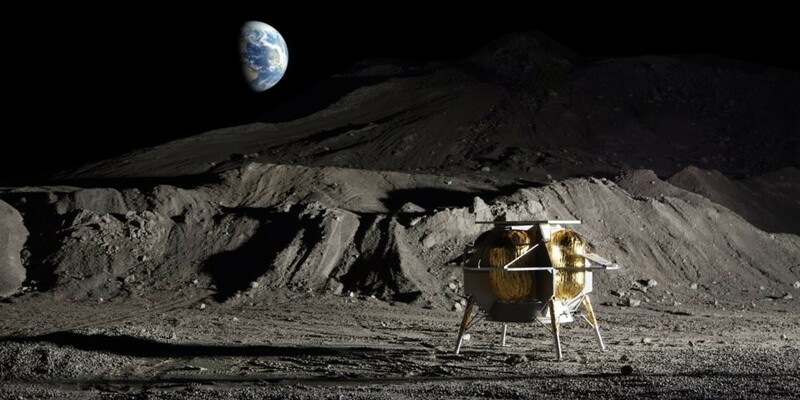 Then in August, Astrobotic received $10 million from NASA to create a "low-cost, reliable, high-performance, stand-alone" system to land a commercial lunar spacecraft on the moon. The funding was part of $44 million in awards that NASA gave to companies developing "tipping point" technologies for space exploration. Unlike previous efforts by NASA to get back to the lunar surface — all of which sputtered out — Bridenstine said the CLPS program will succeed. "This is not going to be 'Lucy and the Football' again," he said, referring to the famous "Peanuts" comic (in which Charlie Brown never gets to kick a football). "Everybody is ready to go back to the moon," Bridenstine added.